We hear frequently enough of Arab immigrants succeeding in the business world or the financial sphere but the European political landscape remains alien to them. Naser Khader, offspring of a Syrian-Palestinian couple, is the new kid on the block of Danish politics. His success story might be an exception or the first signs of a long-awaited integration process whereby European citizens of Arab and Western descent can live their dual identity comfortably and productively. An interesting case for discussion. 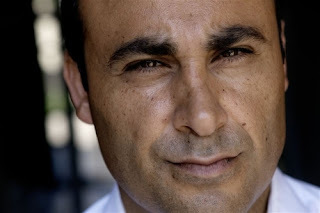 Danish politician Naser Khader is young, energetic and the first Muslim MP in Denmark. As head of the New Alliance he could end up being the surprise kingmaker in Danish politics if voters throw their support behind his new ideas for how to treat immigrants. Danish MP Naser Khader threatens to be the surprise kingmaker in next week's Danish elections. Naser Khader seems to be everywhere -- shaking hands in pedestrian malls and strolling through the streets of Danish cities in jeans and a parka. In the morning, he announces his latest proposals on immigration policy. In the evening, he takes part in an election debate with Pia Kjærsgaard, the chairwoman of the right-wing populist Danish People's Party. There is no doubt about it: The 44-year-old politician is doing everything he can in the final phase of the Danish election campaign.